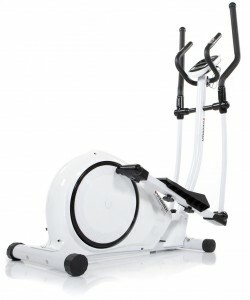 I’m going to briefly cover what to look for when buying a cross trainer. If you’d like to skip the buyers guide, you can go straight to the cross trainer recommendations here. One of the first things you should consider when looking at potential cross trainers, is the reputation of the manufacturer. It’s all well and good getting top-notch machine, but if you’re dealing with a company that doesn’t honour its warranties or stand-by its products, you could be left with an expensive clothes-horse a few months down the line. The higher the flywheel weight, the smoother and more natural the resistance and motion will typically feel. Some of the cheaper entry-level models can feel like things are sticking at the top of the movement. Consequently, a little bit more tension is applied to the knees. Also, an unnatural movement can make the cross trainer uncomfortable to use, so you’ll probably stop using it consistently after a while. There are a number of different resistance types ranging from wind, belt and magnetic. 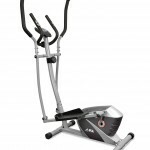 Wind resistance cross-trainers tend to be noiser, belts are typicaly found on low-end cheaper models that don’t last long. Whereas magnetic cross trainers are usually very quiet. They also tend to be more expensive. However, with the pros and cons considered, I would personally recommend sticking with some variation of magnetic resistance, along with a heavy flywheel. This should be obvious, but occasionally the maximum user weight is completely overlooked when buying on impulse. While researching potential cross trainers, pay close attention to the stride length. If the stride length isn’t listed on the specifications, check out the user reviews to see how adaquate the stride length was for them in relation to their height. You can use the calculator below to estimate your stride length, however, this is a very rough estimate! If you use a cross trainer at your local gym and it feels comfortable, you could google the stride length to get an idea of your own requirements. It’s not an exact science, and I’ve used models with a relatively short stride (compared to my height), that didn’t have a jerky unnatrual feel and preformed well overall. So don’t obsess over the stride length! 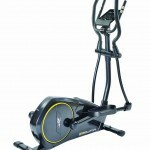 The flywheel and build quality are big factors in how comfortable and natural a cross trainer feels to use. Personally, I tend to avoid budget x-trainers. This is mostly because the cheaper models that I’ve tried had short, jerky or unnatural feeling strides. They have a tendenancy to be flimsy and are nothing like gym quality machines. If you understand all of that, have a limited budget or need a smaller model to save on space… I’ve put together a collection of some of the better choices out of the many not so great choices in this category. They probably won’t wow you, but may be passable for casual use. 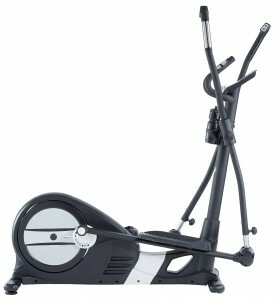 The CT200 is a pretty standard budget cross trainer. I’ve included it because from what I’ve read, JLL typically have a good reputation for good customer service. 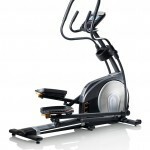 The stride will probably feel quite jerky and mechanical, at least when compared to many gym quality machines however. 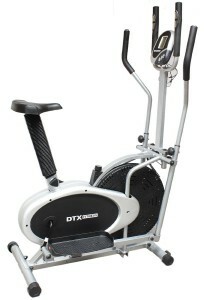 The DTX 2 in 1 can be used as a cross trainer or an exercise bike. Like many of the double up models however, it doesn’t really replace an exercise bike or a cross trainer particularly well. If you’re on a tight budget and like the idea of having a 2 in 1 machine however, you could always give it a shot. Also, I couldn’t find many reports on DTX’s customer service, so if good customer service is important to you, I would do some digging first. If you’re wanting a decent home use cross trainer, the Reebok ZR8 and its successors (ZR9, ZR10 etc) are all superb choices. I’ve chosen the ZR8 because (discounts and offers not withstanding) there’s typically a price hike between models. In my opinion, the “improvements” aren’t neccessarily worth the increased cost. On paper, the XTR is better in some ways than the ZR8. It has the same stride length, but comes with a 16kg flywheel. However, depending on where you buy, it can be a little more pricey. Also, I don’t know what expect in terms of long-term reliability. I will do some further research and see if i can find some customer service reviews for Hammer also and update accordingly. The safer bet for the time being would be the ZR8. If the XTR goes on offer though, I would personally choose it over the alternatives. 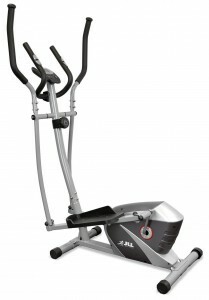 The JTX Tri-Fit is a good choice. 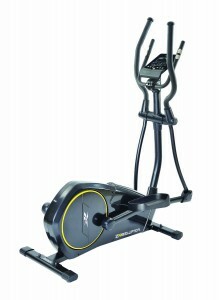 It comes with a 17kg flywheel, along with a variable stride system (which can be adjusted between 16 and 20 inches). This is particulary useful if your friends / family of various heights intend to use it aswell. If not, you can still pick a stride that’s most suitable for you. Looking at user reviews and checking feedback, it would appear JTX Fitness has a good reputation for customer service, examples (here and here). Although it can be a little more expensive than the Nordic Track (depending on when and where you buy). Personally, I feel the flywheel and customer service from JTX makes up for the difference. The Nordic E9.5 comes with an adjustable stride length (17.7 – 19.7 inches), but only has a moderately sized flywheel in relation to the competition. Depending on where you buy, it often comes with a generous warranty. HOWEVER, after doing a bit of research, I did find a number of complaints about poor customer service (examples here, here and here). I wouldn’t take this as definitive, because anybody could be posting those reviews (including competitors), but I’ve yet to find many glowing reports to balance things out. I would recommend doing your own research if this is an issue for you. Although I like the cross trainer, I would personally opt to use a company with better customer service reports. This is something you would need to look into yourself. 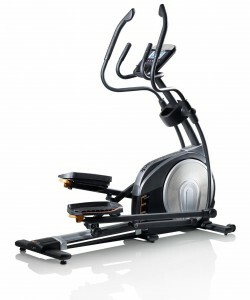 Ellipticals really are very amazing when losing weight and toning up! I bought one and haven’t looked back!